Is your social impact program mitigating reputation risk or escalating it? To mitigate reputational risks and ensure long-term sustainability, organizations must adapt. 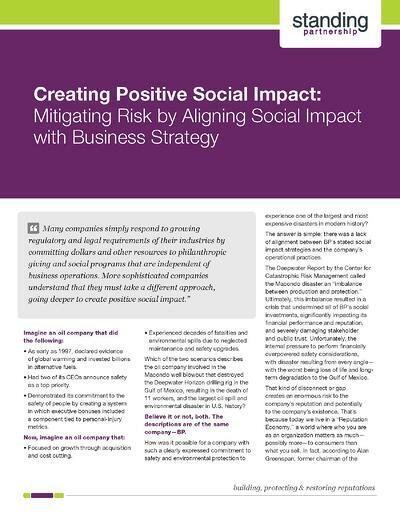 Creating positive social impact in today's business climate requires a new, strategically aligned approach.